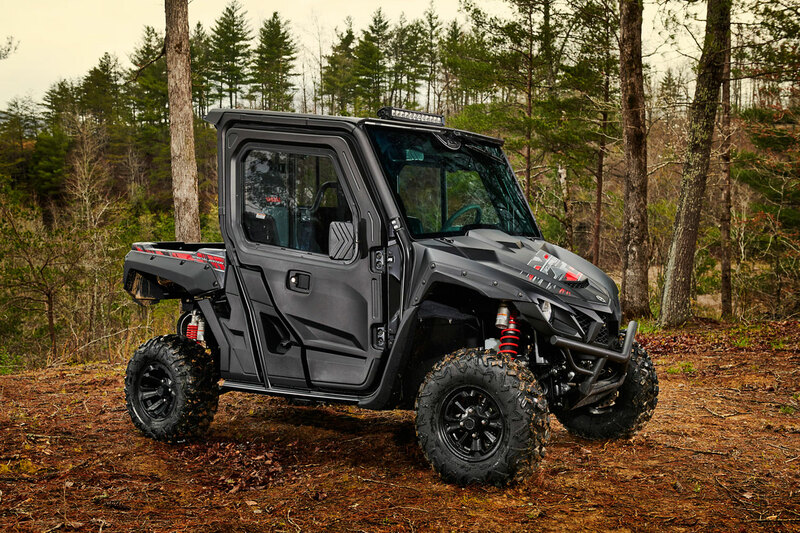 Yamaha's Hard Cab Enclosure System for the Wolverine X4 and X2 has been designed alongside the units to provide durability, comfort, and function. The Glass Front Windshield with Wiper includes an integrated, pre-installed wiper with the simple-to-install washer bottle tucked neatly under the hood area. The full front doors (and rear on the Wolverine X4) with sliding glass windows allow both vision and contact to the outside. All doors and rear window also feature keyed locks to add an additional level of security. Combine this hard cab system with Yamaha's accessory Premium Headliner and Heater System (both sold separately) to have the ultimate in comfort and style. Visit shopyamaha.com for more details.